Finned Heater is best solutions for heat conduction which is utilized for warming solid, fluid and gasses. In this equipment, the components of heating stay in touch with the surface which is to be warmed. These guarantee security throughout to work and are upkeep free. To meet assorted necessities of our regarded customers everywhere throughout the country, we are representing an excellent quality of such equipment. 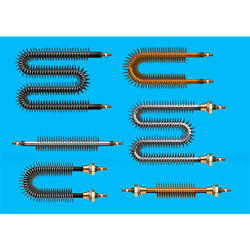 Looking for Finned Heater ?